When it launched in 1984, A&E was called The Arts & Entertainment Network and aired the type of performing arts, British mysteries and doc programming previously reserved for PBS. The channel quickly became known by its current label and as the home of “Biography,” a series so successful that in 1999 it was spun off into its own separate cable channel. A&E’s first forays into scripted programming started in the mid-’90s with a focus on movies and miniseries, among them two original drama series in 2001 — “A Nero Wolfe Mystery” and Sidney Lumet’s “100 Centre Street” – each which lasted just two seasons. Along the way, A&E dropped its longer name as well as most of its “arts” programming, and in 2002 began to focus on reality programming, its lineup dominated by shows like “The First 48” and “Intervention” as well as character-driven series like “Dog the Bounty Hunter” and “Gene Simmons Family Jewels.” More recently, “Duck Dynasty”, has become a singular (and, to some, bewildering) phenomenon, its August fourth season premiere attracted nearly 12 million viewers, making it the most-watched unscripted series telecast in cable history. “Bates Motel” and “Longmire” — returning in 2014 for their second and third seasons, respectively – have given A&E its first two bonafide hits since it has returned its attention to scripted series. Joining them next year is Glen Morgan’s (“The X-Files”) “Those Who Kill,” starring Chloe Sevigny and James D’Arcy, with a pilot directed by Joe Carnahan. A&E’s also developing an American version of the French series “The Returned,” which is currently airing on Sundance Channel. Plus, on Dec. 8 and 9, A&E will join its A+E Networks siblings History and Lifetime in simulcasting a new version of “Bonnie & Clyde,” directed by Bruce Beresford (“Driving Miss Daisy”) and starring Emile Hirsh and Holliday Grainger as the notorious couple. 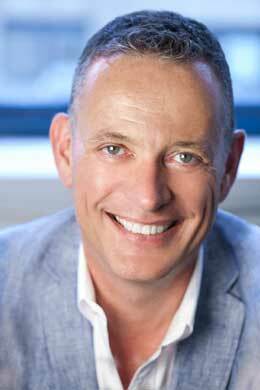 David McKillop has overseen A&E’s programming since 2011, when he transitioned from History where he was SVP of Development and Programming. He was named EVP and General Manager of A&E in June of this year. McKillop joined History after several years at Discovery Networks. In the sixth of a regular series of interviews with network heads, Indiewire spoke with McKillop about where scripted series fit into A&E’s programming slate, his appreciation (and preference) for binge viewing and the differences between scripted and unscripted storytelling. How do you feel the expectations of TV audiences have changed over the past five to 20 years, and how does A&E’s original programming — especially your scripted series — fulfill those expectations? Audiences have become incredibly sophisticated. If you watch some older series, you realize how simple the story structures and plotlines are. Going back 30 years, usually there was probably one single element that carried through the story. But today with our highly serialized series, there could be five, six, seven consecutive storylines that are being checker-boarded over the course of the whole series. With that in mind, can you describe the characteristics that define an A&E scripted series? 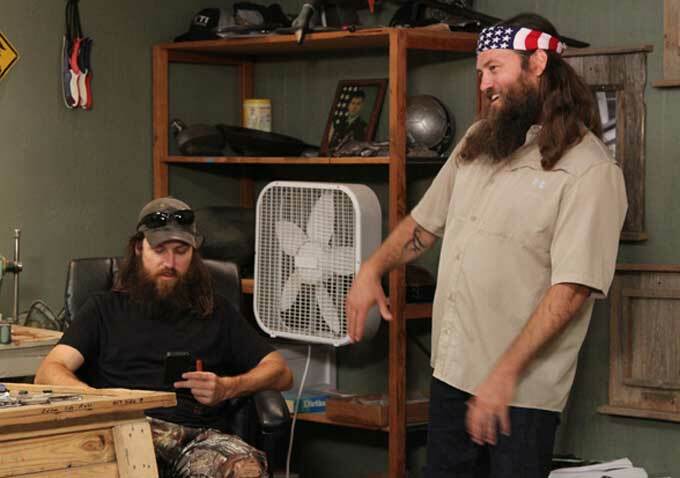 A&E as a brand has traditionally had highly entertaining shows that are slightly smarter. We’re in a golden age of drama on cable television, and many networks are coming out with much smarter television. Audiences are really digging that, and that’s where we’re going as well by working with someone like [executive producer] Carlton [Cuse] on “Bates Motel,” and crafting a drama that’s both suspenseful and highly entertaining yet also has a sense of sophistication to it. We have to be really innovative, because with so many dramas on cable, you have to work hard to get an audience, and the most important way to lure that audience is to try something new and different. Right now we’re seeing antiheroes and highly serialized programs, but as a developer and a programmer, I’ve got to keep my eye on what’s the next thing. Since you mentioned antiheroes and “Bates Motel,” do you see the young Norman Bates filling that antihero role? No, I see Norman more as a sympathetic kid who has demons, but everybody wants him to succeed. The great thing about the show is that we know where it ends, so you’re almost rooting for Norman not to end up where we think he ends up. I think Norma is maybe more of an anti-hero, especially the way that Vera [Farmiga] plays her. She is one of the most talented actresses out there, and she’s created this persona who’s just trying desperately to be a great mother but can’t get it right. More frequently, we’re seeing people from outside the world of television — filmmakers, playwrights, longform journalists, radio producers — developing series. What is A&E’s approach to seeking out new voices for your scripted projects? The thing I love about cable television is that from its inception it’s been an experimental place that always breaks the rules. A lot of people are gravitating to cable because all the networks, A&E included, open our arms to the creative process. We’re very good creative partners, and I think that’s what’s attracting this diversity of talent. We offer a lot of creative involvement, and we don’t wear blinders or have too many filters. We’re open to new ideas and new approaches. Especially at A&E, we are open to all kinds of partnerships to create content. How do you see television and these highly serialized stories continuing to evolve and challenge formal boundaries over the next few years, and what is A&E’s role in that changing landscape? Do you see yourself continuing with the occasional two-part miniseries or branching into limited series? I see A&E moving into primarily 10-episode seasonal arcs. I don’t see us doing a lot of one-offs, of movies or two-part special events anymore. I believe we’ll do about three [scripted] series a year. While reality is our “meat-and-potatoes,” so to speak, it allows us to take some chances and be more experimental on the scripted side. I would like to focus creative talent and dollars on series like “Bates Motel,” which is 10 episodes. 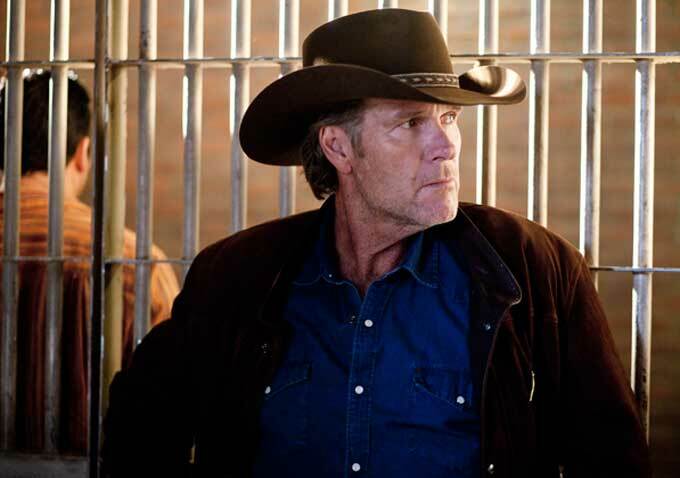 If you look at “Longmire,” while it has a closed-ended procedural essence to it, it’s actually getting more-and-more serialized, and as season three comes on, we’re very excited to carry some of the threads over from seasons one and two; with Walt and the murder of his wife, etc. So format-wise, we’re pretty set right now looking at ongoing series in the 10-to-13 episode model. “The Glades” was primarily a single-episode procedural; “Longmire” seems to be shifting from stand-along procedural to more serialized storytelling; “Bates Motel” had a definitive primary season-long arc. Does this indicate a progression for A&E towards serialized storytelling, or are you looking at whatever format best serves each series? Right now it’s about whatever serves each show. “Bates Motel” is one of my favorite programs that I’ve ever had the opportunity to work on, and it’s highly serialized. However, we have “Those Who Kill” coming up with Chloë Sevigny, and it has heavy serialized elements, but at the same time, it’s maybe a bit more of a hybrid. It’s probably more serialized than “Longmire,” but less so than “Bates.” So I think you have to take each project and tweak it to what creatively benefits that particular show. You spoke of keeping to “primarily 10-episode season arcs,” and the next seasons for “Longmire” and “Bates Motel” will both be 10. Why do you see that number as the best option for your scripted series? Carlton Cuse and I were talking about this, and we both agreed that 10 is the magical number for writing a compelling series arc. Also, the production schedules are easier to manage; we can schedule them in a different way. I think creatively, it’s just about the right amount of time and effort you want to put into a series. Audiences can digest and binge on 10. It’s just a good number. It’s good to enable binging. I’m a binge viewer. I wait until a series is done, and then I binge it over a weekend or two. Almost all cases. I mean, I watched the last batch of “Breaking Bad” — one of my favorite shows on television. I did watch that live, up until the end, because it had the sense of an event that I wanted to be a part of it. But outside of that, I tend to catch-up on my series on weekends and on airplanes. Obviously, a large number of viewers are also doing that, but what are your thoughts on the value of the live event, considering how you just described the final stretch of “Breaking Bad”? And how do you feel binging through sites like Netflix is affecting the larger business? There’s always something important about events; that’s the beauty of sports on television, right? Football is the perfect example. Every Sunday is an event that you can talk about. So I think that when you have the opportunity to create an event like the finale of a show like “Breaking Bad,” that’s fantastic. Then again, in terms of Netflix, we’re going to have to work that out. Stacking up your complete series before the next season premieres helps drive impressions for us, but others claim that it devalues the product further down the line. I think we’ll work it out because in the end it’s probably going to be a win-win, but it’s an interesting debate. You said that reality is your “meat-and-potatoes.” You and your A+E Networks sibling channels are arguably the leader in such programming, certainly in terms of audience, so why this push into scripted series? When you transitioned to A&E, was this scripted series expansion a major goal? I think “Bates Motel” is a great example: the first project out of the box that was part of this plan. We attracted phenomenal talent from both Carlton and Vera and Freddie Highmore; we’ve got great writers like Kerry Ehrin. It’s a very impressive series, and it feels like A&E. So that’s my goal: To really make sure that everything we produce can be solidly looked at as part of the A&E brand. So you see your scripted series as natural extensions for the audience that comes to you for “Duck Dynasty” and “Storage Wars”? What do you think are the similarities between your unscripted and scripted shows? Absolutely. Audiences at this point just want to be entertained, and A&E is here to entertain the world. In terms of the similarities, all of our shows are entertaining. I also believe that audiences are less concerned about the lines being blurred between scripted and reality. There are scripted shows that are being made to look like reality shows and reality shows made to look like scripted, and audiences are not complaining about that. I think all they really want is good storytelling and great entertainment. 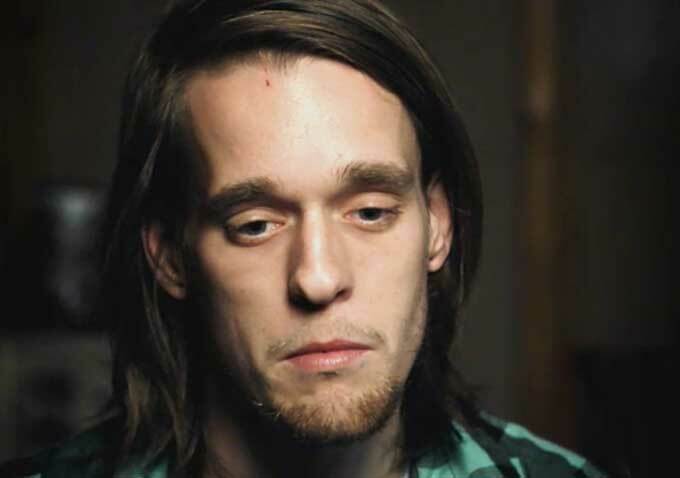 For a long time A&E focused on more serious documentary-like programming, with true crime and psychologically oriented shows such as “The First 48” or “Intervention.” Now, the bulk of your programming focuses on lighter, more character-driven and pure entertainment tone. Have those shows simply run their course, or was this a larger deliberate shift? There was absolutely a deliberate move. Part of the success A&E has had in terms of 10 years of continuing growth is that we’re able to be about 18 months ahead of trends. While those shows — “Intervention,” “Hoarders,” “Dog the Bounty Hunter” — were all integral to building the network, people’s attitudes towards entertainment are changing, and we’re just keeping ahead of that wave. How hard was it to cancel such an important show like “Intervention”? The hardest decision you make as a programmer is: When do you cancel a show? I think it’s 10 times harder then greenlighting a show. Sometimes you can’t just let things die on the vine. Sometimes you just have to get ahead of it and make the tough decision because you know where you’re going and you know how to get there, and this particular show just probably isn’t going to carry much baggage. So while these shows were fantastic, beautifully made, and part of the network’s growth, we’re just looking for new shows that take A&E to that next place. Your scripted series, including those you’ve had in development such as “Those Who Kill,” “The Returned” and even “Occult” [a pilot from “X-Files” vet James Wong, produced by Michael Bay, which A&E declined to pick-up] seem to follow the trend of “Longmire” and “Bates Motel” in that they focus on darker and more psychological themes and phenomena, in some cases supernatural. Are these high-concept ideas your primary focus or just a result of the pitches coming your way? That’s what we’re looking for. In fact, a lot of these projects didn’t just come to us. While we still take shows from the traditional pipeline, a lot of what we’re doing is developing ideas internally and then reaching out to the community for writers. “Bates Motel” initially came in as a two-hour movie. We thought, why don’t we turn it into a series and put it in the present, but then we just gave it to Carlton and Kerry. They went off, came back a couple months later and just knocked it out of the park with a whole new concept. So most of what we’re going to do moving forward is work very closely with writers to craft shows for the A&E air. Of course we’ll always take a pitch, but a lot of times a pitch is not exactly right for the network, so we work with the studios and the writers to tune it up. Or we go out to some great writers and ask, “What’s your passion project?” And if that fits what we’re looking for, then we’ll work with them to create a script and a series. Regarding “Bonnie & Clyde,” why did A&E become added to what was originally just a Lifetime and History Channel simulcast? [A+E Networks has] three big networks out of all the channels we have, and the thought was why not just try adding the A&E piece. If we can get older men [from History] and older women [from Lifetime], and then maybe younger adults across the board on a single project, that would be pretty spectacular. Is that how you distinguish A&E from History and Lifetime? A&E targets the slightly younger demographic across both men and women? Slightly younger. Right now, [the A&E median age} is at about 47. I’d like to be at a median age around 40. Interesting enough, “Bates Motel” is around 40. “Duck Dynasty” is 39. I want to keep our 25-54 demo, but I really would like to make some headway in the 18-49, especially in the rankings. It would help with ad sales; it would help delineate A&E from History and Lifetime. The other piece is, our audience is between 50-to-60%. So we’re in that 50-50, 60-40 spot, and that’s our swim lane, so to speak. Do you believe that the younger audiences you just mentioned are as interested in your form of programming, which generally seems to attract the older audience? I think younger audiences seem to be more attracted to uniqueness, something new and different, and I think humor is a catch-all for that audience as well. There’s a difference between humor and comedy. Do you feel any connection to the original “Arts & Entertainment Network” identity of the channel, or has A&E simply become a brand icon now? A&E is what A&E is: It’s an icon for the brand. I don’t think many people even refer to it; I would guess that 90% of our audience wouldn’t even know what the A&E used to stand for. The majority of your background dating back to when you were at Discovery has focused on various forms of unscripted reality programming. Do you think that working in that realm has benefited you as you now look for new and different forms of scripted programming? I’ve always been a storyteller, so that’s been my passion from day one. The thing that’s helped me the most in the scripted world has been the ability in reality to tell so many different stories, to take so many swings because there’s just less risk, and it really has helped me hone my storytelling skills. The difference I see between the two is that scripted storytelling is about seeing the forest and not worrying about the trees because you can pretty much write anything you want; reality is really about understanding the trees because it’s serendipitous a lot of the time. You have to go in there and create the show in the edit room. You can’t create a scripted show that way. Once you approve the script, that’s it. Edits are pretty fast moving things. You really have to be much more conscious in scripted of the pre-production, the writing and the big storytelling; in reality, you really have to be much more cognizant of the characters, incidental incidences and editing. I love scripted, and really appreciate and enjoy the opportunity to work with people like Carlton on “Bates” and Greer [Shephard] on “Longmire,” two phenomenal executive producers and showrunners, and I’ve learned an incredible amount from them.